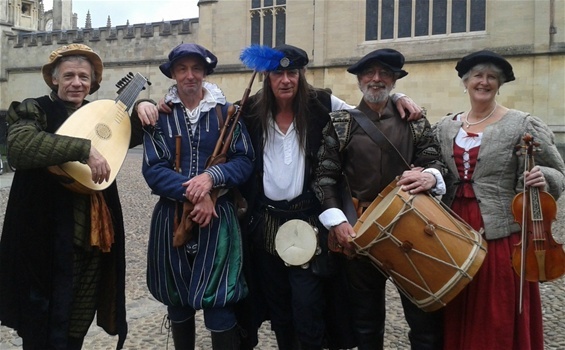 The Oxford Waits are available for Tudor entertainments as well as 17th-century events. We appear in Elizabethan costume, with appropriate repertoire, and are happy to give workshops in Tudor music. ‘Thank you and the Waits for your magnificent contribution to our launch day. The feedback from both the Workshop and the Concert has been very positive. So many people said how much they had enjoyed themselves. So a big thank you to you all for helping to make the launch such a great success’.